We seem to be experiencing a mini-heatwave in the UK today which meant we have spent most of the day outdoors. My 3 year old loves playing fairies so we thought we would add to our fairy garden. 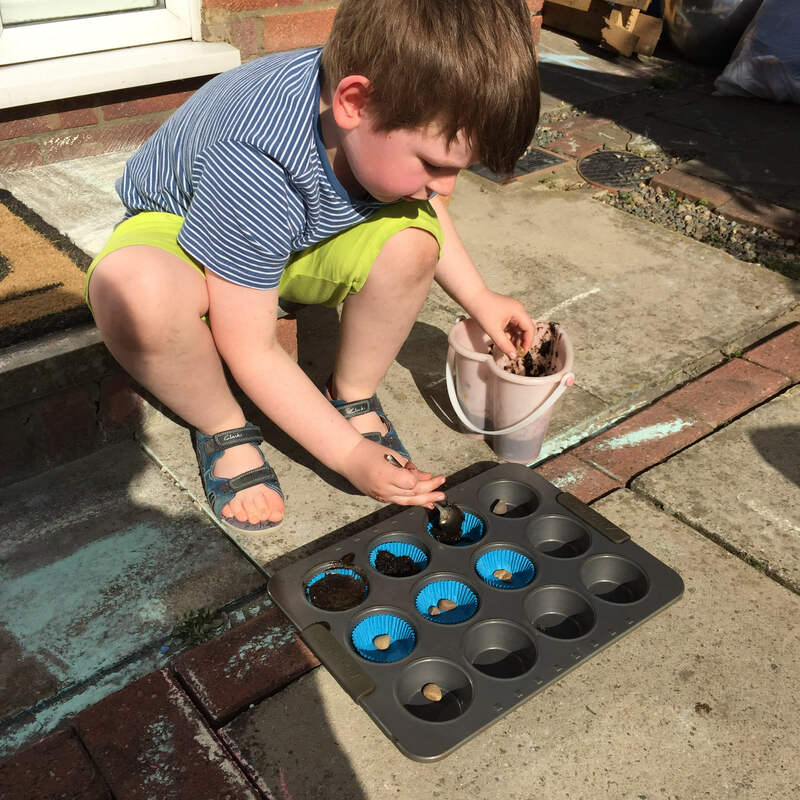 So far we’ve built a fairy house in the garden, made a painted stone fairy door for a fairy house and painted pebble animals to live in the fairy garden. 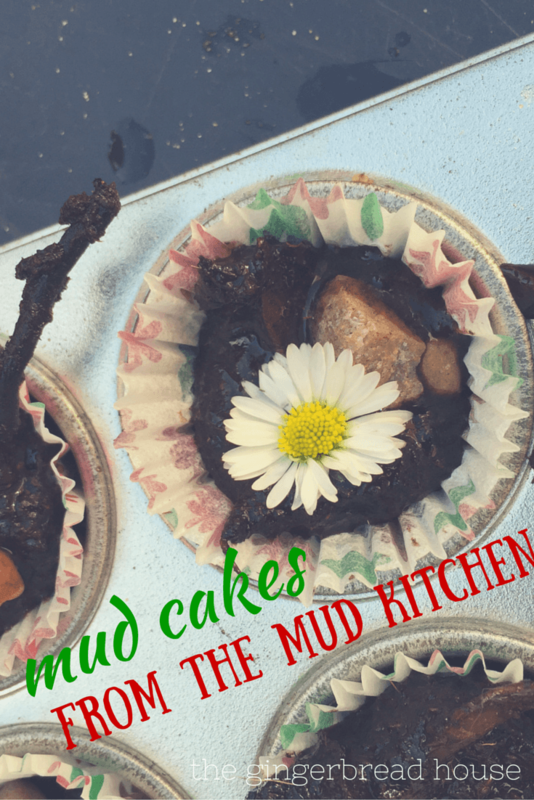 Today we had some messy sensory fun, making proper mud cakes for the fairies, in our tuff spot mud kitchen. 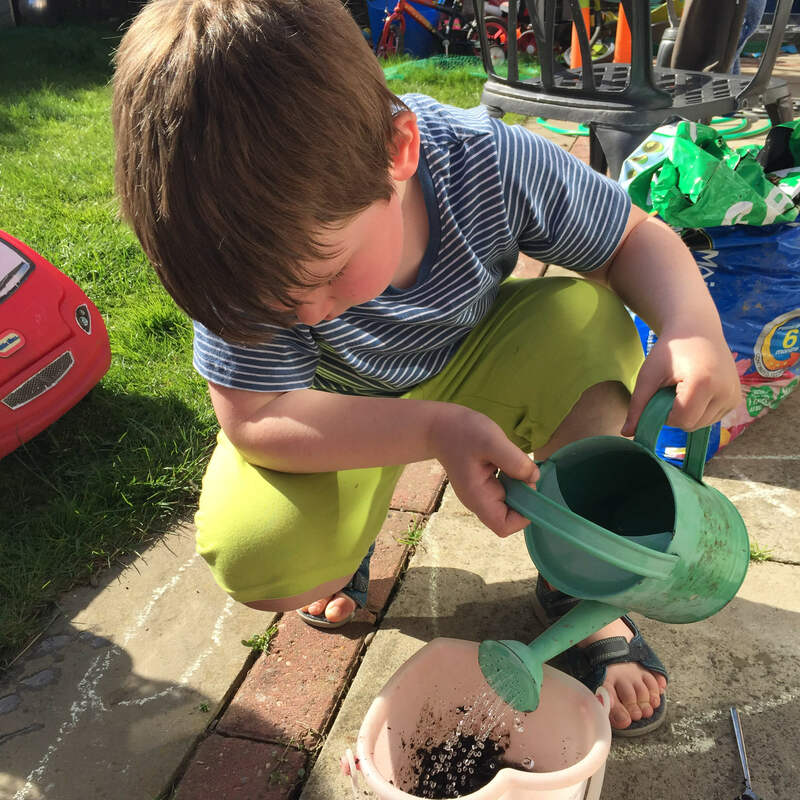 I mixed half a bucket of soil with some water until it had a thick consistency then let them mix and add more water. They got messy but it was really warm so they just rinsed off the mud with more water. We kept the mud in the buckets but you could mix it in the tuff spot too. 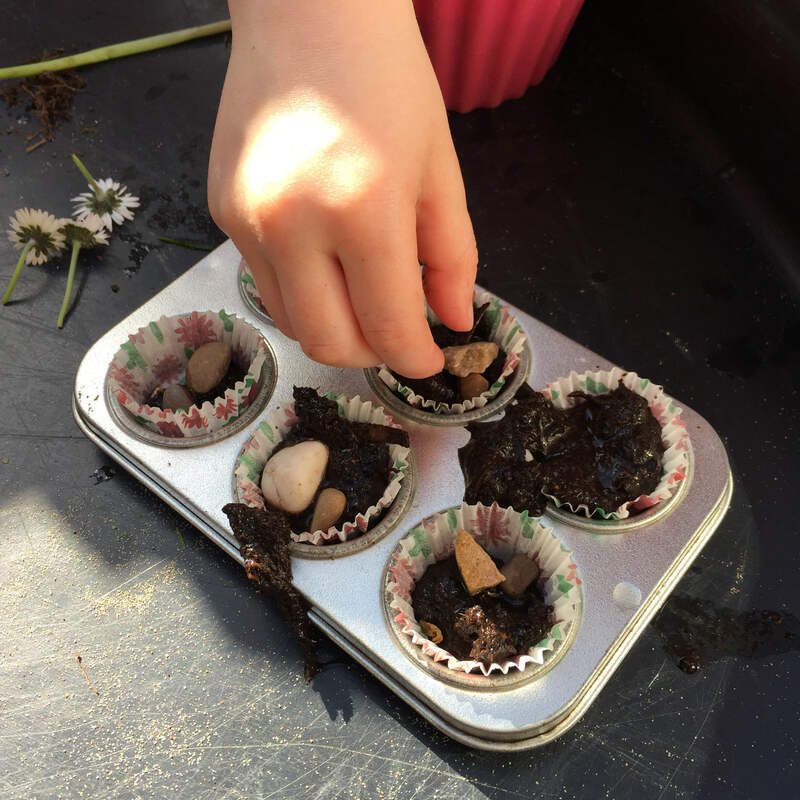 Whilst I set up the tuff spot for them I set the children to look for flowers, small stones, sticks and leaves, basically anything to decorate their mud cakes. When we had assembled everything the children places paper cupcake cases in a cupcake tin. 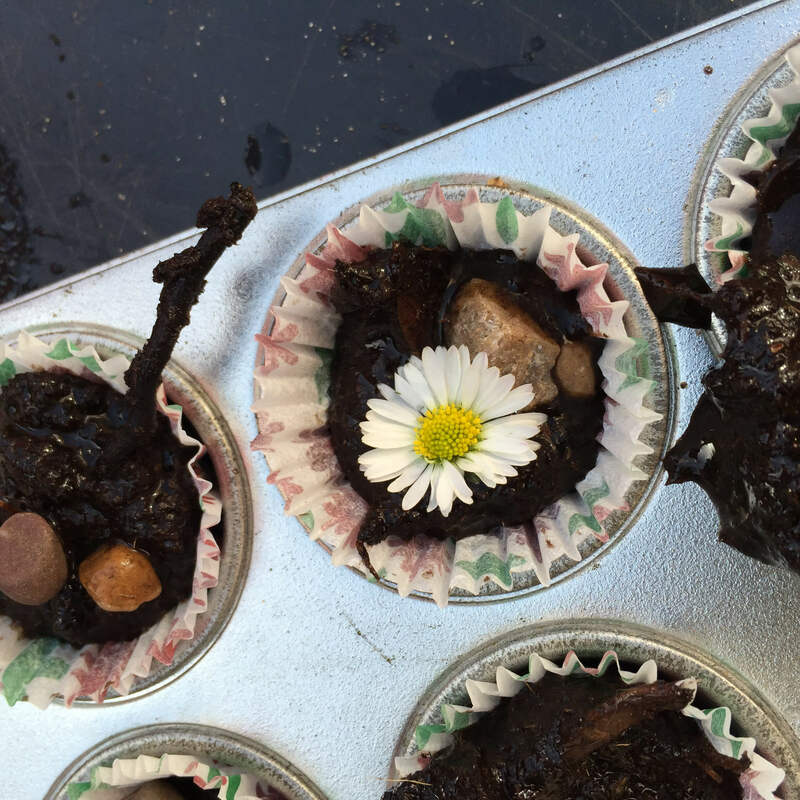 Just like the real thing, they carefully spooned in their mud mixture into the cases. 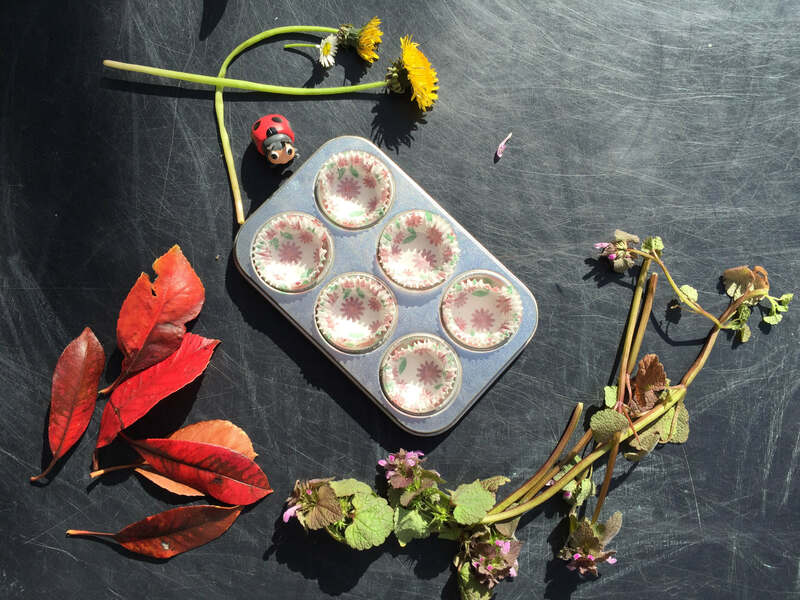 When they had finished they decorated them with the stones, flowers, leaves and grass they had found in the garden. They looked quite pretty when they had finished, all different colours and textures. It was great to see the children getting messy and having fun with nature. 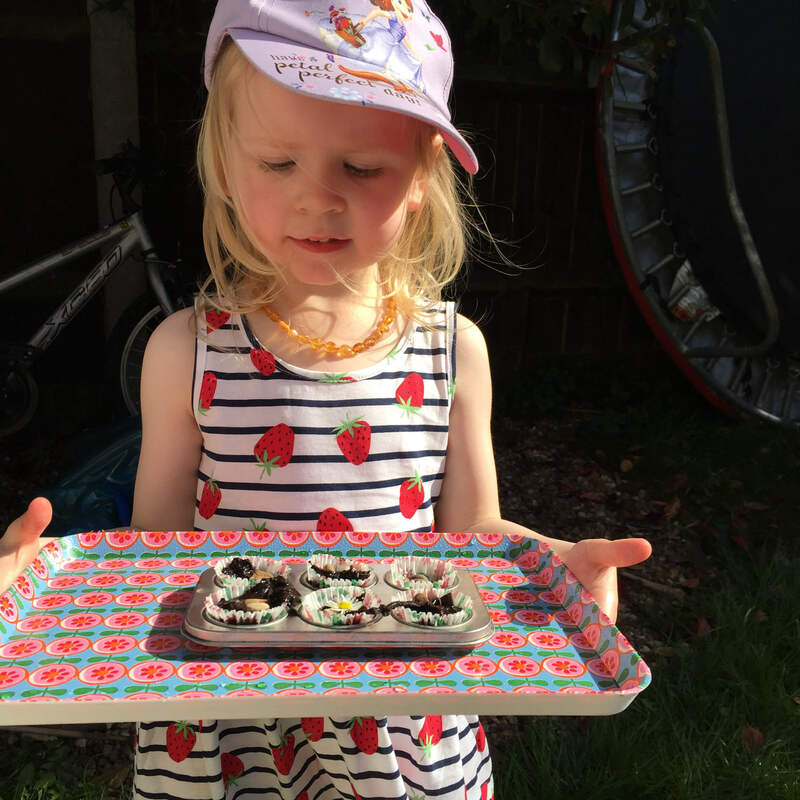 We left the cakes to bake in the sun, fingers crossed the fairies have eaten them by the time the children look outside for them. 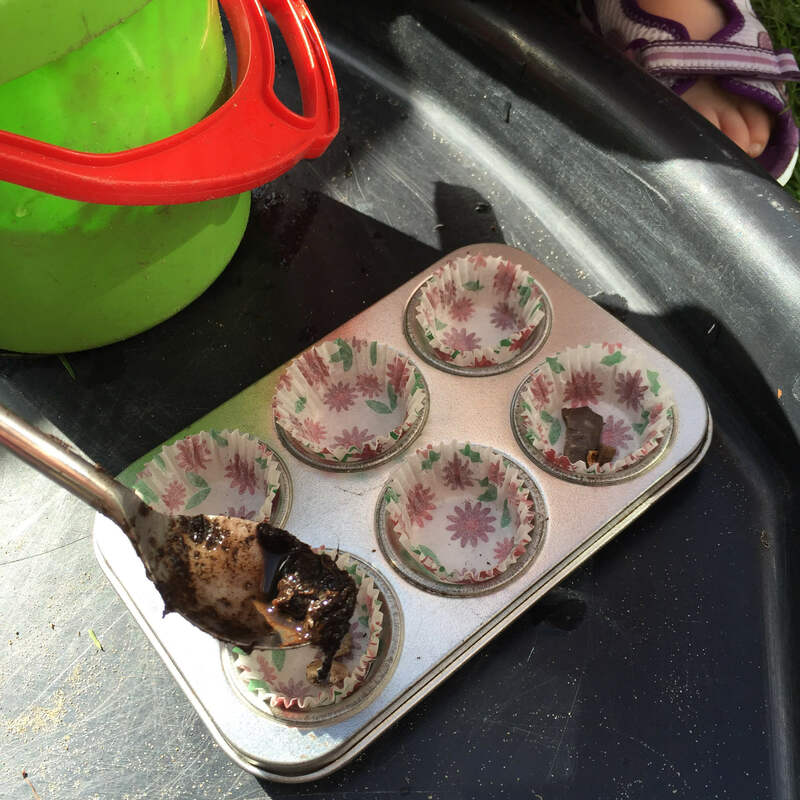 We had fun in the sun today making mud cakes in our mud kitchen. I think this is an activity we’ll definitely be doing again! Aw bless they look like they had heaps of fun! It’s the perfect weather to do it too!